We know that Archbishop Byrnes and the new Finance Council and Finance Officer have their hands full after three decades of abuse and neglect of our diocesan finances at the hands of Apuron and his merry band of self-serving stooges. The good news is that Archbishop Byrnes need not fear. Once the faithful of this diocese know that they can trust the leadership, they will open their lives, their homes, and their pockets to rebuild this diocese the same way they and their forefathers and mothers built it. It was clear from Archbishop Byrnes' headline article in today's Umatuna, "An appeal to all our Faithful on Guam," that he is well aware of the breach of trust that has now shown up as a negative number on the balance sheet. Archbishop Byrnes and his new army of advisors may be well on their way to addressing some of the matters we will recommend here, but just in case, we'll recommend them anyway. And readers, feel free to add your own recommendations in the comments. The first thing that comes to mind is the need for more detail. We realize that this is only a summary report, formatted to fit on one page of the Umatuna, but we look forward to seeing all of this itemized. One glaring example is "Parish Assessment." We need to understand this better. How much is each parish assessed and what are the mechanics of the assessment? Many church goers believe the money they put in the basket is for the parish. They don't know that a certain percentage goes to the chancery. An explanation will help. 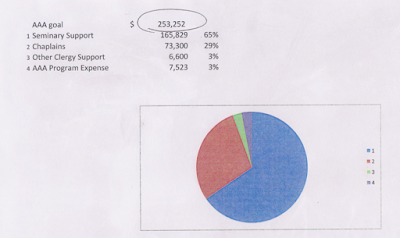 As for expenses, the note about Administration gives a general description about where the money goes. But let's get into detail. Perhaps some may balk at listing the names of the employees and how much they get paid, but we are in a crisis of trust. For RMS, it says that the subsidy from the chancery has stopped as of September 2016. Is RMS paying rent? If not, then that's a subsidy. And what about the tuition for the JP2 seminary? Who gets the tuition money? RMS. And 66 plus thousand goes to a "subsidy." Is that going to RMS too? One last note. Clergy Support of $6600 says it goes to "retired priest." Who is this "retired priest?" And why is it in the singular? Do we only have ONE retired priest? A chart published by the chancery in 2015 showed the same $6600. At the time, we knew that Fr. Brouillard was receiving $550 per month. ($550 x 12 = $6600.) Is Fr. Brouillard now retired? If so, then let's say that this is where the money is going to. I for one do not oppose subsidizing Fr. Brouillard. At 95 years of age, regardless of what he did, it would be sin to throw him out on the street. Also, I am very moved by the fact that he owned up to what he did and asked for forgiveness. So I say, keep the subsidy or whatever you want to call it, but let's be up front about to whom the money is going and why. Please know that we are not doubting the sincerity of the new team. We know they are working overtime to straighten out a colossal mess. We simply urge you to continue down the road of transparency. It's the quickest way to trust. And trust is the quickest way to healing our diocese's financial woes. its a shame that the trust of this chancery is equated to money, "earned or given", (speaking for myself) "IF" byrnes correct the issues of the ncw and rms = I'll give money, "WHEN" byrnes corrects ncw/rms = earned my money. 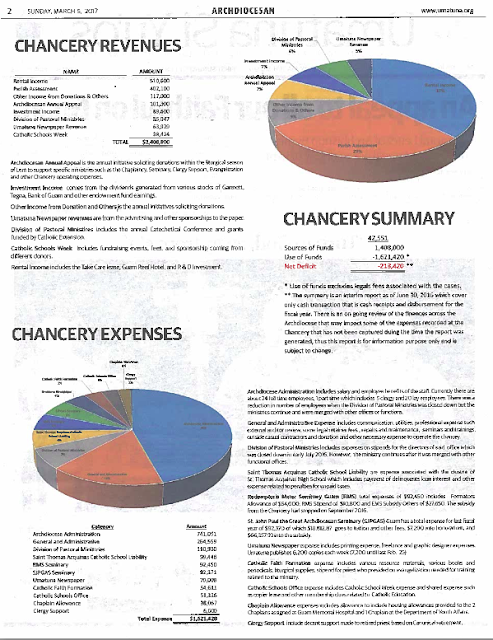 stated "subsidy from the chancery has stopped as of September 2016", since then the archdiocese should have made income as the landlord and school/seminary, IF NOT, someone CHOSE A SIDE. "Parish Assessment" yes this needs to be BETTER understood, my parents live in the south, population less than half of my parish, flat rate assessment would hurt them. I know in my heart that the new AFC is working very hard to make things right, but at this point in time I'm still not ready to write any checks to the 2017 Archdiocesan Annual Appeal. Back in late 2013 a young man named Aaron Quitugua approached then-Chancellor and Director of Vocations Adrian Cristobal regarding his vocation to the priesthood. Through a number of meetings and e-mails Adrian informed Aaron that because the Archdiocese was not financially able to support sending Aaron to an off-island seminary, his only option was to attend the new seminary which would be established for "regular" (i.e. NON-NCW) seminarians while taking classes at RMS. The young man's final request was for the Archdiocese of Agaña to sponsor him to study at Mount Angel Seminary at NO COST to the Archdiocese because Aaron would cover all costs of his education and formation. And what was the response of Adrian Cristobal, who Archbishop Byrnes recently sent to "complete" his Canon Law Studies, to Aaron Quitugua? On 27 December 2013, Adrian Cristobal wrote to Aaron Quitugua, "I regret to inform you that your request to have the Archdiocese sponsor you at Mt. Angel Seminary is denied." 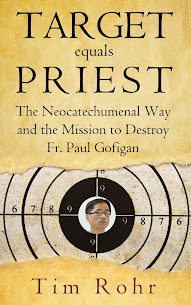 • Have the current Director of Vocations Fr. Richard Kidd reach out to Aaron to help him discern whether Aaron still has a vocation to the priesthood. • If he does, Archbishop Byrnes needs to take "concrete steps" to undo Adrian's 2013 decision to refuse sponsorship by the Archdiocese to Mount Angel Seminary. • Finally, Archbishop Byrnes needs to send Aaron to Mount Angel Seminary AT THE EXPENSE OF THE ARCHDIOCESE. I realize the last step is a tall order, in light of the pending civil litigation against the Archdiocese, but I believe Archbishop Michael Jude Byrnes needs to prove to us that he is serious about doing the right thing with the 2017 AAA by nurturing Aaron Quitugua's authentic vocation to the priesthood that has been waiting for more than 3 years. Archbishop Byrnes, if you can bring yourself to take these steps, it will be a sign to many of us that you can be trusted. And you will see, as Tim Rohr indicated in this post, that the faithful of this archdiocese will open our lives, hearts, homes, and pockets/checkbooks to rebuild the archdiocese, the first step being rebuilding the PRIESTHOOD. I should add that so long as there is even the remotest of possibilities that Apuron might return, Byrnes will never make any headway in restoring this diocese. Agree. May I add three more? 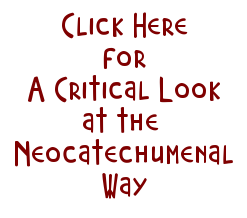 Close down the RMS and send seminarians home, send NCW presbyters back to their dioceses, and stop all activities of the NWS in the churches and facilities of the Archdiocese of Agana. Until then, support will be limited. Listen carefully. The presbyters are all ours. For good. Unless and until one of them should desire to excardinate. Entiende? Bien.